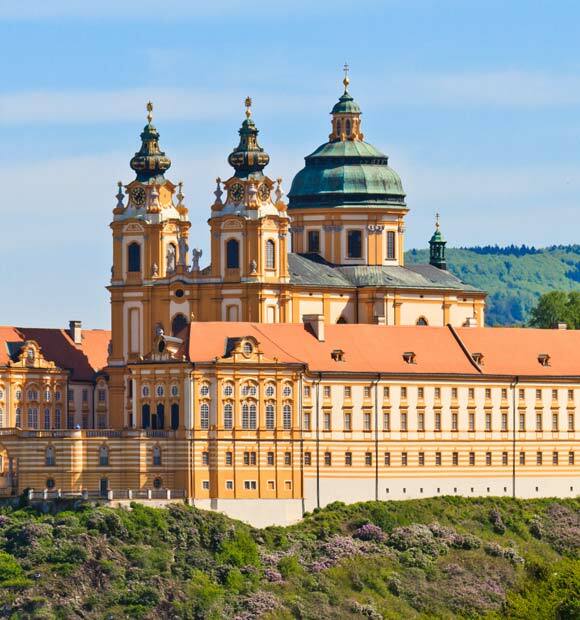 Krems lies just over 40 miles west of Vienna at the meeting point of the Krems and Danube Rivers, at the eastern end of the dramatic and beautiful Wachau Valley – which is itself a designated a UNESCO World Heritage Site, owing to its history as well as timeless natural appeal. 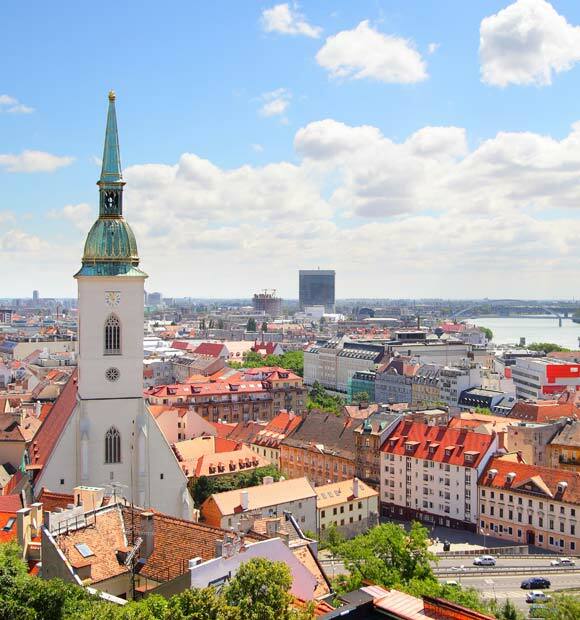 Once almost equal in size to Vienna, modern-day Krems in north-eastern Austria is much more modest in scale compared to the country’s neighbouring capital – but no less historic and picturesque. 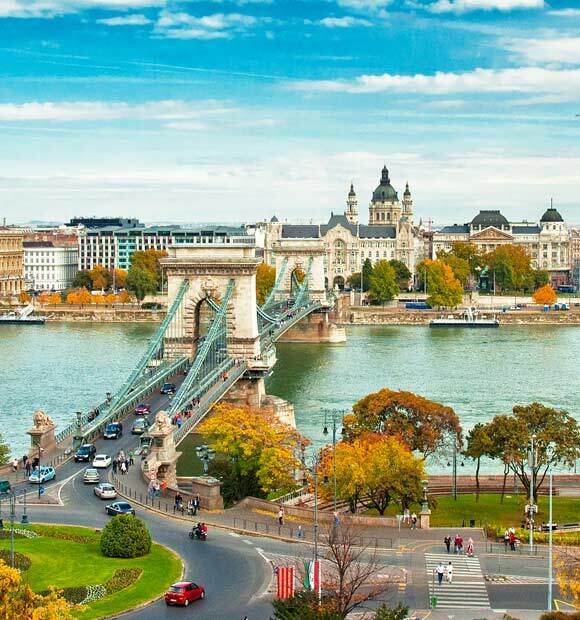 The town was once home to Martin Johann Schmidt, perhaps the most prominent artist and draughtsman of the Austrian late Baroque style, who was heavily influenced by the work of Rembrandt. His warm, lively style of painting found its way into many churches and monasteries of Lower Austria and became popular with people of all social classes at the time. Schmidt lived predominantly in Stein, just outside the centre of Krems. 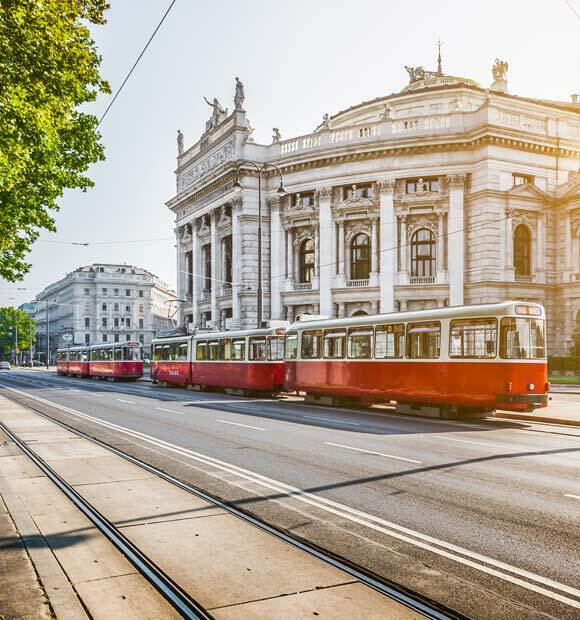 Fittingly, the two centres are now connected by the outstanding Art Mile of Krems. 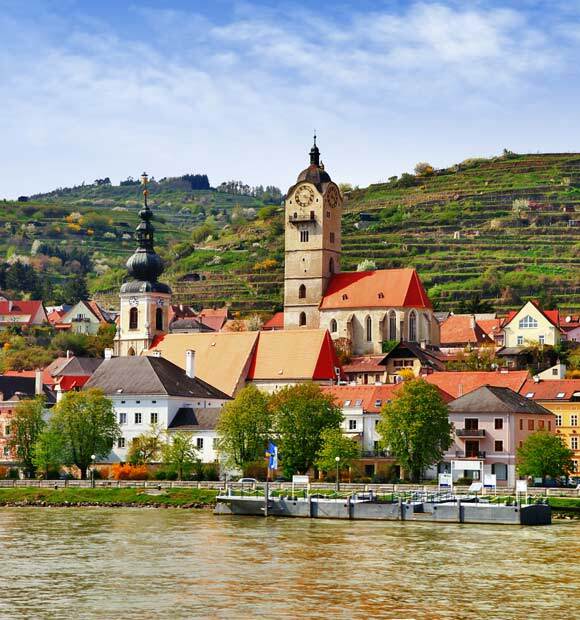 Krems is a real must for art lovers and wine lovers alike, being renowned for the affordable, world-class standard wine which is served in local heurigen eateries, and as the main producer of marillenschnaps (apricot brandy). 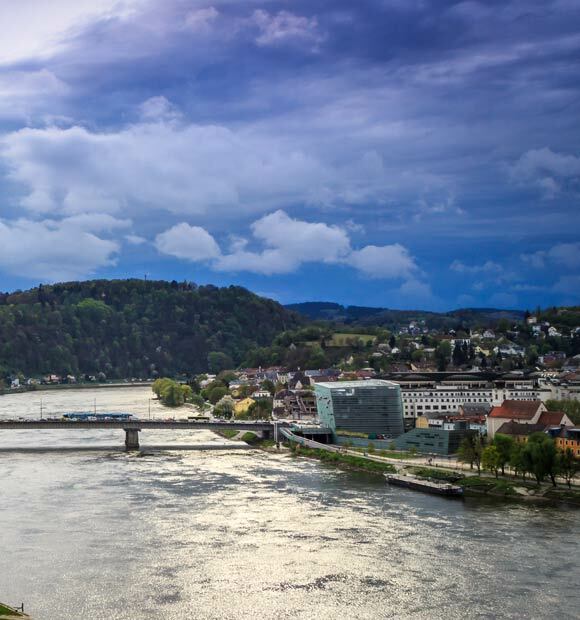 The celebrated Art Mile of Krems stretches from the old town centre to medieval area Stein, spoiling visitors for choice with a total of 28 museums, concert venues, wine bars and restaurants – with the Artothek, Kunsthalle Krems, Weinstadt museum and the Caricature Museum standing out as particular points of interest. Kunsthalle Krems doesn’t hold a permanent exhibition, so it’s pot luck as to the type of art you’ll see when there but as many tickets are typically offered to give you access to one or more of the town’s other museums. 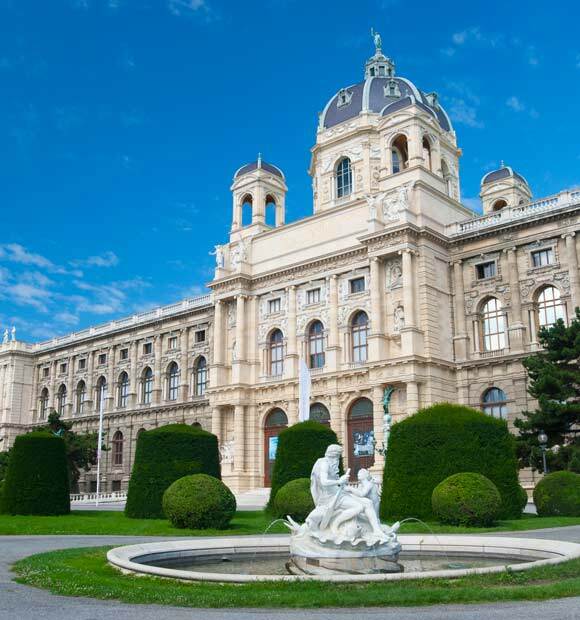 The aforementioned Caricature Museum is one museum often included in this arrangement and is one of the city’s most popular offering an absorbing overview of the history of cartoons and satire in Austria. 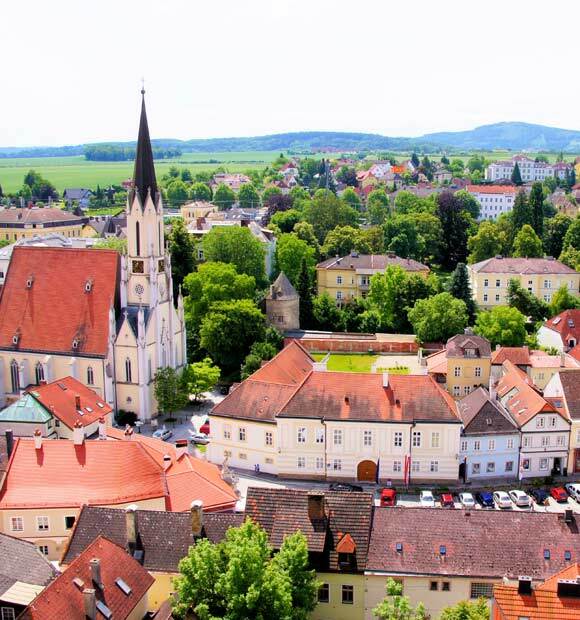 Krems also offers rich pickings for history fans, with the towering Steiner Tor medieval town gates, being one of the most noted attractions. They are unmistakable thanks to their pointed turrets and date all the way back to 1480. 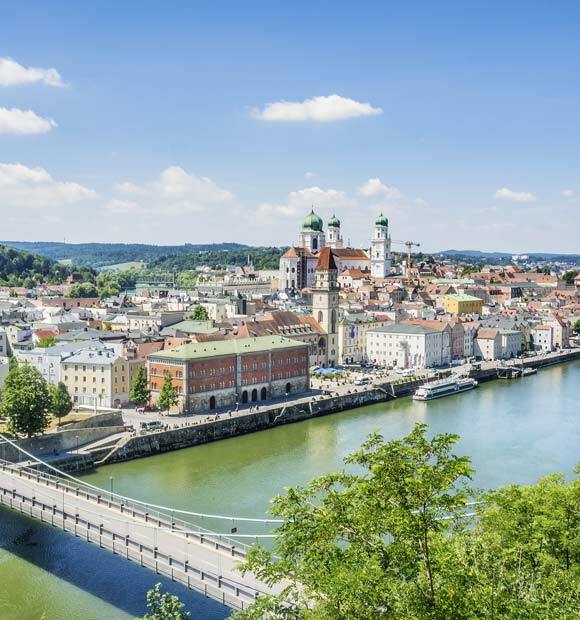 Indeed, Krems’ Old Town offers a wealth of pleasing period architecture and its cobblestoned streets and taverns offer visitors a great look into Austria’s past. The Parish Church is a particular architectural favourite and built in a similar style to the town gates. 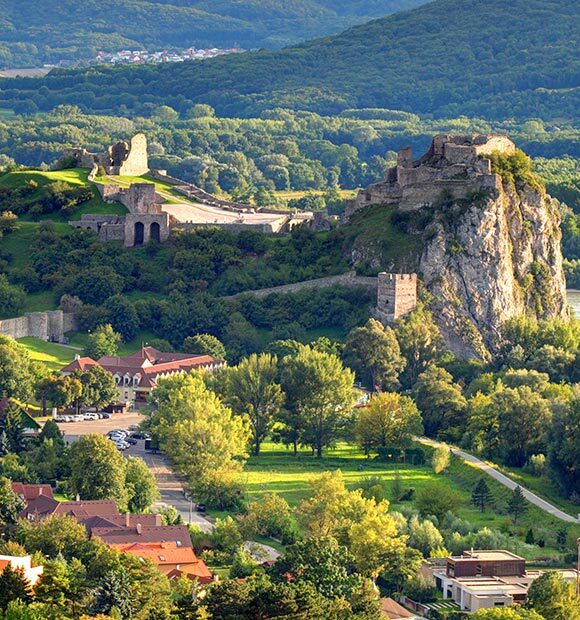 Several miles out of Krems are the ruins of Hinterhaus and Durnstein, where King Richard the Lionheart was imprisoned by Duke Leopold V following the Third Crusade and visits to these historic structures are often the focus of a number of river cruise excursions when in port. 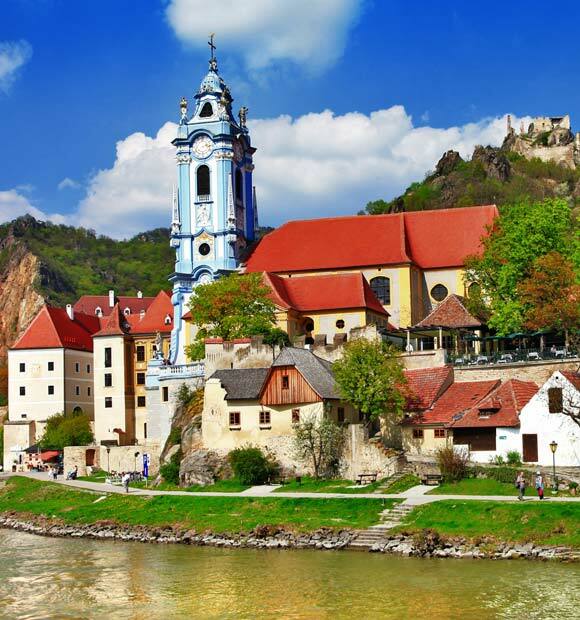 It’s Durnstein which is perhaps the most popular of these, owing to its fascinating historical pedigree. 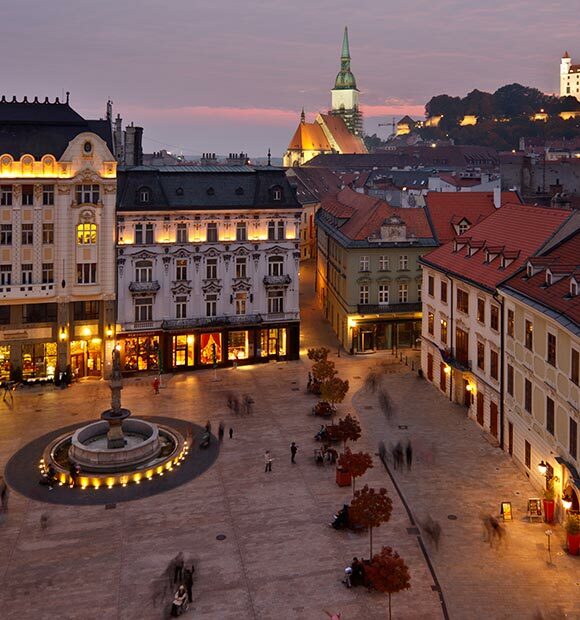 As discussed, Krems is the perfect place for wine-lovers, so be sure to take time out to sample a glass (or two) while in the city. You're sure to find both the flavour and price very agreeable.